When should I schedule my complimentary vehicle inspection? You should schedule your complimentary, but required, inspection within the last two months of your lease. That will give you enough time to make repairs if your vehicle has excessive wear and use. To schedule call Alliance Inspection Management (“AIM”) at 800.253.9026 or visit https://selfschedule.aiminspect.com. Where do I return my vehicle? In most cases, your vehicle should be returned to the INFINITI Retailer that originated your lease. If this is not possible, you may return the vehicle to any INFINITI Retailer. Every vehicle is inspected using consistent guidelines by Alliance Inspection Management (AIM), a third party certified inspection company. What should I do if I am approaching the mileage limit on my lease? Contact us immediately! Avoid or lessen excess mileage charges. Call or contact us online or simply visit us in person at 1550 W. Ogden Ave Naperville, IL 60540 during business hours. Walk-ins welcome! What happens if I exceed the mileage limit on my lease? If you exceed the mileage allowed under your Lease Agreement, you will be responsible for paying the per mile charge for excess miles driven. Please refer to your agreement for miles allowed and excess mileage charges. This charge is assessed if the vehicle is returned at the end of your lease. If you purchase your leased vehicle you will not be charged. What if I REPLACE my INFINITI? SCHEDULE YOUR PRE-RETURN VEHICLE INSPECTION within the last 60 days of your lease with Alliance Inspection Management Center, (AIM) at 800.253.9026 or visit https://selfschedule.aiminspect.com. SCHEDULE YOUR IN-STORE VISIT before your final 2 lease payments are paid to apply the *Loyalty waiver. Contact us by phone or online. See new vehicles here for more details. *Loyalty waiver applies up to 30 days after lease termination. Eligibility is determined by leasing or purchasing a new, unused, and unregistered INFINITI vehicle financed through IFS. The registered owner’s name on the current lease, must be the same as the registered owner of the new INFINITI, or held in joint ownership. Customers must satisfy all obligations to IFS in accordance with their current lease agreement. The excess wear and-use waiver does not apply to excess mileage fees. What if I PURCHASE my INFINITI? If you choose to purchase your current vehicle the price is based on what was agreed to when you initially signed your lease. Your lease may require you to pay incidental charges such as sales tax, vehicle registration, a purchase option fee of up to $395 or other miscellaneous charges. SCHEDULE YOUR IN-STORE VISIT by phone or online at any time before lease maturity. We will discuss what your available options are and if applicable, arrange financing for the purchase of your current vehicle. No, you will not be responsible for any excess mileage or excessive wear and use charges. No, you do not need a pre-inspection. What if I RETURN my INFINITI? SCHEDULE YOUR PRE-RETURN VEHICLE INSPECTION within the last 60 days of your lease with Alliance Inspection Management Center, (AIM) at 800.253.9026 or visit the AiM Inspect website. RETURN YOUR VEHICLE AT ANY INFINITI RETAILER no later than 30 days prior to your lease maturity date. Why can’t my Retailer inspect the vehicle? Only Alliance Inspection Management (AIM) can fulfill the complimentary, yet required, pre-inspection with certified inspectors trained to apply IFS’s excessive wear and use guidelines. Can I return my vehicle to a non-INFINITI Retailer? No. You need to return your lease to an INFINITI Retailer. 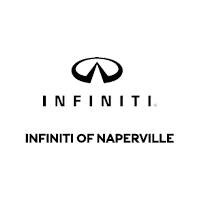 If INIFINITI of NAPERVILLE is not your local dealer, please go to INFINITIUSA.com to locate the one nearest to you. How long does it take to inspect my vehicle? The entire pre-inspection process may take up to 45 minutes to complete. Less damage, and excess wear and use, will result in a shorter inspection time. Do I need to be present at the inspection? No. As long as there is someone above the age of 18 that you authorize to represent you and supply vehicle keys to the inspector. However, the inspection report will require a signature so if you cannot be present, appoint someone who knows your vehicle concerns. When completed, the inspector will leave a copy of the inspection report for your records. What happens if I choose not to complete the complimentary pre-inspection? If you choose to return your vehicle without the pre-inspection, an inspection will take place at a later date to determine what, if any, excessive wear and use charges apply. You will not have the opportunity to make repairs, or consult with your insurance company. Please schedule your inspection prior to returning your vehicle. How do I get my vehicles condition/inspection report? Upon completion of the pre-return vehicle inspection, you will be provided a copy of your “Condition Report”. You can also receive a copy by visiting https://selfschedule.aiminspect.com. If you didn’t get a pre-return vehicle inspection before returning your vehicle, Login to your account to view the chargeable wear and use under Inspection Results on the End of Lease Experience page. Please remember it is required to get your vehicle inspected before returning it to the dealership. If you have not yet scheduled your complimentary pre-return vehicle inspection, you may do so within the last 60 days of your lease. What will be considered chargeable wear and use? During a vehicle’s life, some wear and tear is expected and considered normal. To view what is considered chargeable Excess Wear and Use click here. Do I have to make any repairs before I turn in my vehicle? If excessive wear and use is discovered during your vehicle inspection, you have the option of making repairs before returning your vehicle. It is recommended that you discuss the results with your INFINITI Retailer in NAPERVILLE or insurance agent. What if my vehicle is damaged after my inspection but before I return it? If damages occur after the initial inspection, make any repairs to the vehicle, if needed, and notify IFS at 800.887.5155 7:00 AM to 6:00 PM CT, Monday through Friday. What charges may I expect on my Liability Statement? After your vehicle has been returned to your INFINITI retailer, you will receive an End of Lease Liability Statement. The statement will detail any fees/charges remaining (if any) that are due. To dispute any charges on the Liability Statement, please contact INFINITI Lease Customer Network at 1-800-887-5155. Can I pay my End of Lease Liability Statement online? You can now pay your End of Lease Liability Statement online and free of charge! For instructions on how to pay online, please click here.